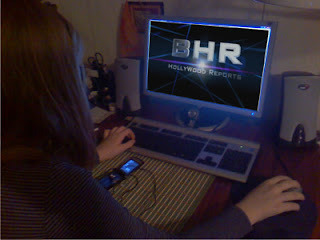 BHR Hollywood Reports...........The View is biding adieu to another Rosie. After Rosie O’Donnell, 53, left the live talk show in February, Rosie Perez, 50, is next in line to depart. Bill Wolff, executive producer of The View, announced the news in an email to staff on July 7, citing that Rosie is leaving her co-hosting spot… to pursue her passion for acting! "Stepping into the role of talk show host at the same time she has been starring on Broadway has been incredibly impressive. And beyond being an enormously talented performer, Rosie is a dedicated advocate who has brought passion and insight to the panel every day," the email continues. Wolff expressed that Perez would be leaving on amicable terms and that the show's relationship with the actress would remain cordial. The future of co-host Nicolle Wallace is also unclear at this point. Wallace is a political pundit who frequently makes appearances on MSNBC, and the upcoming presidential election may lead to her departure from the view to focus on political commentary.